External manifestation of any symptoms in the form of pain or ulcer or tumor is not the disease as a whole and is only a manifestation of the disease which is causing the pain or ulcer or growth in the first place. So suppressing or removal of the external symptoms is not the cure of the disease. So likewise in brain tumor removing it surgically only temporarily alleviates the problems at the huge risk of a surgical operation, but does not address the disease at all - which is not the tumor but the reason why the tumor is growing. And hence even after surgery there is a very high degree of instances of a new tumor growth seen in the same patient - which may be growing faster than the earlier one. It is because of this problem that all Brain Tumor patients who have undergone surgical treatment are advised to go for routine MRI scans at intervals of 4 to 6 months depending on the case. So that as soon as a new tumor is detected a repeat of the surgery is suggested. However, the brain surgery is one of the most riskful operations of all surgeries. We have very high success of cure rate in the treatment of brain tumor. Our patients of Brain Tumor come with all kinds of Brain Tumors - Astrocytoma - Low Grade and High Grade, Meningioma, Schwannonma, Lymphoma, Pituitary Adenoma, Glioblastoma and cover all the Grades I to IV. 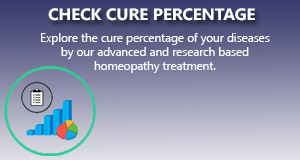 We treat them exclusively using our most advanced clinical and constitutional approach of homeopathic treatments and our success rate in above 92% in brain tumor. The prognosis with our treatment has been very encouraging for patients of all age groups and almost the entire spectrum of Brain Tumors. First we take care the acute symptoms like any type pain if the patient is suffering is controlled with our treatment package in a very short span of period. Next we aim to take care the pressure effect symptoms like seizures, convulsion, paralytic condition, loss of vision, loss of memory or specific mental effect. With our treatment the patient can mark the gradual improvement within a short spam of period. However this is dependent on case to case and on the stage of the tumor. During our treatment period when the clinical sign and symptoms reduce we generally advise for CT scan or MRI to know the situation. In 99% of case it has been found the reduction of the size of tumor after a certain period of our treatment. But the rate of reduction again depends upon the size and grade of tumor. The patient can mark the improvement during our treatment like coming back of vision, disappearing of paralytic condition, return back of memory etc. For patients who have already gone for an operation for Brain Tumor it is observed that our treatment reduces the chances of growth of new tumors. Master yashkaran is only four years kid. He is suffering with brain tumor size 4.0(cc)x3.5(TR)x3.4(AP)cms arising 4th ventricle extending into the for a min ago on right side. Myself Naghma Parveen detected low grade glioma? Please suggest me what to do in future..
My daughter is suffering from pontine glioma. Can anyone suggest homeopathic remedies for the same? when i am trying online appointment... there is no option for disease brain tumor lymphoma as i have to select one. please look after it. so i can book appointment. Do you have any research studies to show the effectiveness of your treatment protocols? People now a day look for research based evidences. I should be grateful if you could post some research based evidences. The information this page provided has made me relaxed and saved me from the riskful surgery!